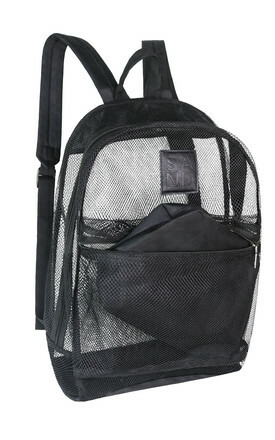 Soft, Durable Nylon Mesh Back Pack in Black. Comes with a secure zip satchel for all personal and private belongings. Perfect for the Gym, Beach, Day to Day & Travel. Sand, Sweat & Odour Free.